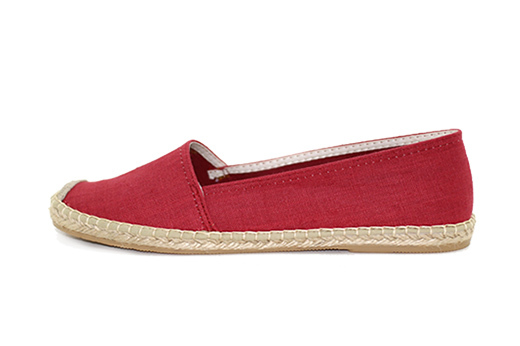 Offering a great pop of color to any wardrobe, our Red Velvet Classic Low espadrilles can add cheer to any look. These women's espadrilles have a smaller profile compared to our Classic style. Laro Espadrilles are handcrafted in Spain, have sturdy yet comfortable vulcanized rubber soles and a traditional braided jute lining.